Muar express bus terminal Located at Jalan Maharani, Muar. You can use Orkid Express. 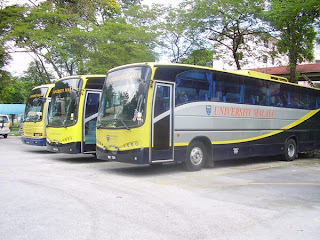 paling awal bus orkid pukul berapa? Anyone know any direct bus from muar to Singapore? Yes, you can take Hasry Express Bus from Muar to Singapore. Ada tak bas ekspres dari muar ke pontian dalam jam 4 atau 5 petang ? 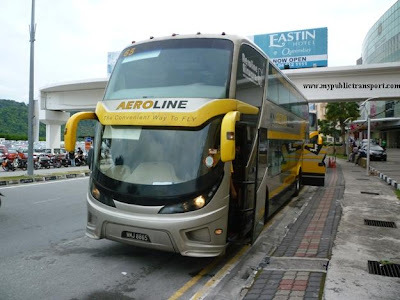 Hi, you can use the BusOnlineTicket tool to find KKKL bus from Larkin to Muar. Ada tak bas dari muar terus ke lumut? 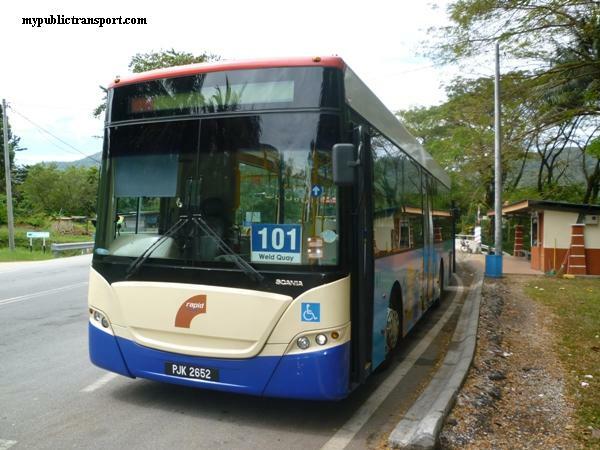 Hi, you need to take express bus from Muar to Ipoh,then take another bus to Lumut. 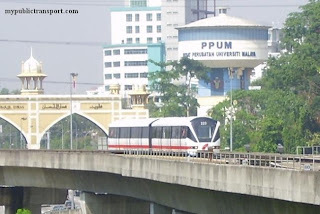 kalau prg ipoh terus sampai atau prl tukar bas lagi? ade no. 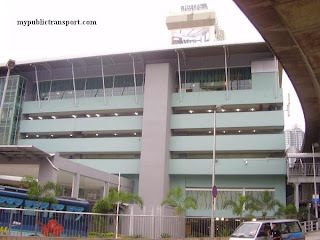 telephone muar exspress bus station x...nlh bagi sye x? Hi, you can take Cepat Express. You can get the contact and ticket from the booking tool on top of our site. Hi , ada tak mana mana bas dari muar straight ke manjung ? Hi, no. From Muar, there is only bus to Ipoh, you can take another bus from Ipoh to Manjung. Tiket muar kew larkin last bile yew??? Hi, for ticket today, please directly check with counter at bus terminal. Dari muar ke shah alam pukul berapa harini? There is no more trip today. You can choose to go from Muar to TBS. Bus ticket from muar to penang available for once a day only? Hi, it varies from day to day. To get the latest schedule, please check with the booking tool on the site. How can i get ticket from muar to kuala terngganu on 15/7 or 16/7 2015?? Hi, no they are all sold out. Yes, there are still some tickets left. You can check by using the booking tool on our site. Hi, do you have any bus express from muar to singapore and singapore to muar. What is the timing? Any contact number to call? 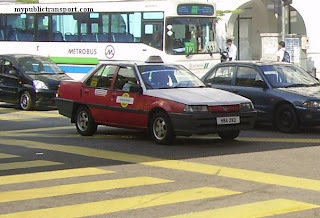 Any bus express to pagoh or taxi to pagoh? How much it costs? HI, you can take Hasri Express. From Muar, you can take North West Bus to Pagoh. Bus dari muar to seremban hari ini pukul berapa? Hi, you can check the latest schedule using the booking tool on our site. 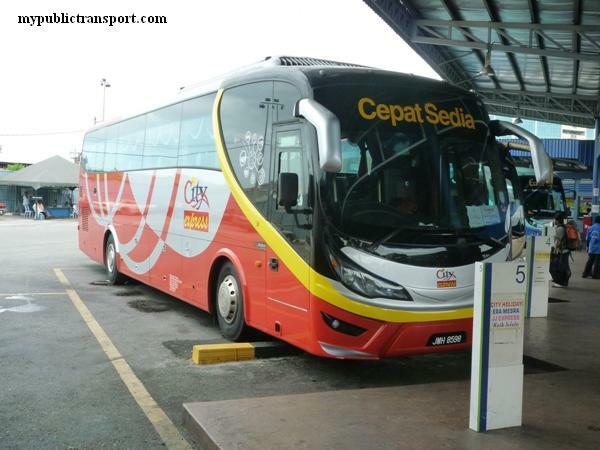 Where can I get the schedule from muar to malacca by using orkid bus? Hye the last trip today to shah alam? Hi, you can check the latest schedule and book the ticket from the booking tool on top of our site. 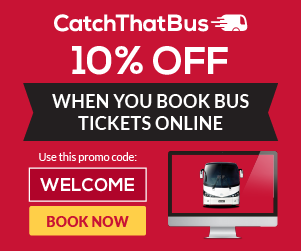 Yes you can check the schedule and book the ticket using the booking tool on our site. Are tickets From segamat to KLIA available? Hi, it is as early as 6am. How to go to tangkak from muar? Hi, you can take North West Omnibus 65. Bas dari melaka ke bandar penawar ada tak? Hi, you can check using our booking tool. Hi. Do you have any bus express from Muar to Pontian tomorrow (21April) ? Hi, sorry there is no direct trip between the two places tomorrow. Hi, is there any ticket left from muar to kluang? Ada tak bas yg naik sekali dgn motor ? Hi, are there any buses from Muar to Singapore? Hi, yes you can take Hasry Express. Can i go to kluang from muar? How much is the fare? 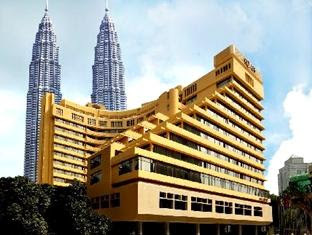 Hi, yes you can take S&S international, you can check the price from the booking tool from our site. Can i know is still available tickets to kuantan on 30 of june at evening ? Bas north west dri muar ke segamat pukul bape last? Hi, it is roughly 6-7pm. Bus muar ke benut ada tak? Brp ringgit kalau ada dan masa berlepas. Bus to benut only available from Batu Pahat. 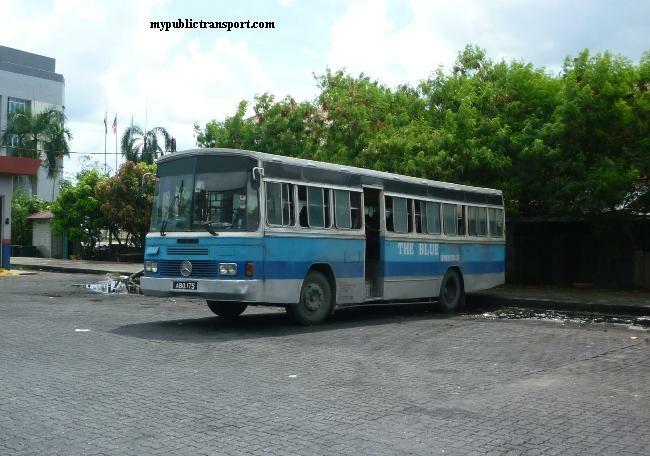 It is Coastal Bus as mentioned in the other answer. Hi, there is no direct bus from Muar to Temerloh, you can take one express bus to TBS, then take another express bus from Tun Razak to Temerloh. Hai.. saya nak tanya ada tak bas dari taiping perak straight to pontian? Hi, there is no direct bus, you can transit at TBS. Hi, you need to transit at TBS. Wanna know if i can get ticket from here to genting..
hi can i know where can i get a ticket from muar to johor bharu ? Hi, you can directly get it at Muar express bus terminal from Maju Express. Hi, you can take Maju Express, it is about 2 hours. Hi, you can check using the booking tool on top of our site. 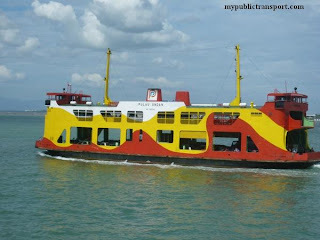 i wanna go to muar from desaru, but its seems there's no bus to get there. and when i look up in the google , i can't find the most suitable one. so may i ask for your opinion on how to go to muar by bus ? Hi, you can do this. First take Maraliner from Bandar Penawar to Kota Tinggi, then take the local bus to Larkin. 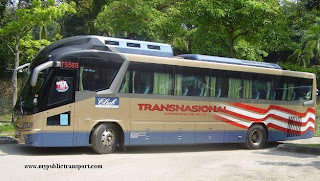 From Larkin, you can get many express bus such as Maju or Mayang Sari to Muar. bas muar ke mersing pukul berapa yang ada? Hi, you can check using the book8ng tool on our site. Hi, you can check with the booking tool on our site. 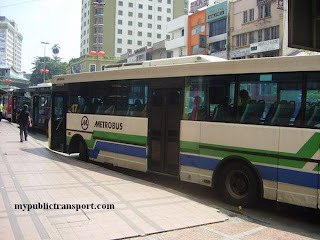 Hi, you can always take North West Omnibus 56 from Muar to Segamat and vice versa. 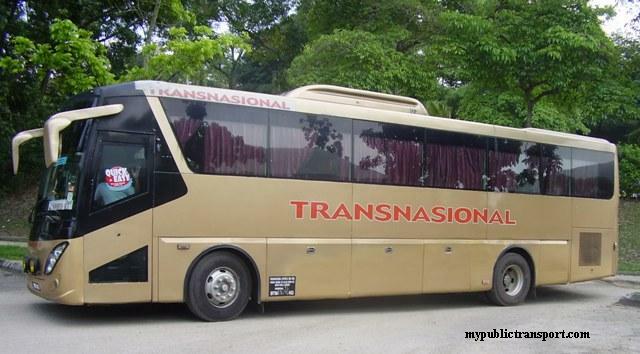 Hi, bus from muar to pontian ada tak? After 5pm on 22th March 2017? Hi, yes there are two trips after 5pm by Mayang Sari. You can get the ticket from the booking tool on our site. if i need more than 15pax from muar to butterworth, any suggestion. Hi, you can get the tickets from the booking tool from the top of the site. You just need to repeat for 2-3 times. Hi, i just want to know. Is there any bus trip to seremban for today? Hi, the bus is every morning 10.30am. Hi, where can I see Orkid Malaysia schedule for trips from muar to kluang ? Hi, sorry we don't have the information. Hi , what the time bus schedule for muar to kluang ? The first trip for tomorrow and what bus should i take ? I need to arrive to kluang before 11:00 AM is it possible ? Hi, you can take Orkid Express, you can reach roughly before 11.00am if you take the first bus from 7am. It is departed from Melaka at 7, so I not so sure what time it reach Muar. Hi, you can take North West bus. sometimes they have express service from Tangkak to Muar. Most of the time should be stages bus. 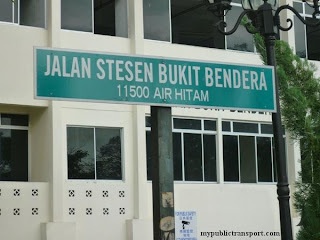 is there any bus from muar to pontian? Hi, there is very less direct bus service, you'll need to take an express bus to Larkin before transit to Pontian. Hi, ada tak trip bas mayangsari direct dari muar ke KLIA/KLIA2?kalau ada berapa harga tiket ye? Hi, you can check with Yoyo express. hello, is there any bus from muar to pagoh? Pontian to ipoh departure timings day and nigt? Hi, yes you can check using the booking tool on our site. kaunter tiket bus pukul brapa buka? Muar to taiping 12/10/2017 ada bas pukul berapa ya? Bas dri muar terus ke taiping atau kamunting ada tak? tak pun dari bp ? 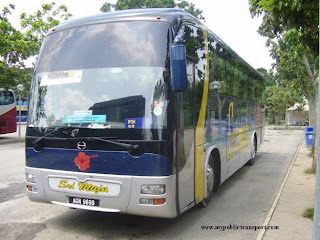 Hi yes, you can take KKKL bus which you can get the ticket from the booking tool on the top of the site. Hi, Can I knwo where are you departing from? Muar ke PAGOH ada pukul berapa? Ada ke bas pontian ke melaka ptg ni. ?